Free download - programs for Windows PhotoStage, Piolet, AVS Video Recorder, McAfee Anti-Theft, Easy Screen Capture Video, Webcam Video Capture, PCMedik, VSDC Free Audio Converter, Adobe Flash Builder, AVS Document Converter Free download! PhotoStage ::: a computer program used to create slideshows. 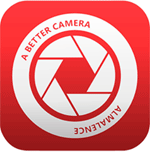 With PhotoStage you can convert your photos into slideshows. PhotoStage lets you add audio and optimize the images before processing. Piolet ::: a computer program used for file sharing. Using Piolet can download music, movies, games, photos, etc..
Piolet has a good download speed and allows the resumption of the download from where it was interrupted. 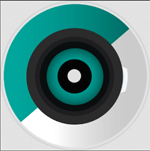 »» Free download AVS Video Recorder! AVS Video Recorder ::: a computer program that allows users to record video. With AVS Video Recorder can transfer video from different mobile devices: video cameras, mini cameras, webcams, etc.. The AVS Video Recorder program lets you save the video in AVI, MPEG-2 or burn it to DVDs. »» Free download McAfee Anti-Theft! McAfee Anti-Theft ::: a security product that protects against data theft. McAfee Anti-Theft blocks intruders and protects important files. The McAfee Anti-Theft program provides also protection of privacy. »» Free download Easy Screen Capture Video! Easy Screen Capture Video ::: a computer program that allows users to make screenshots. With Easy Screen Capture Video can also capture video. Easy Screen Capture Video allows you to capture predefined regions or the entire desktop. »» Free download Webcam Video Capture! Webcam Video Capture ::: a software that allows users to capture video. Webcam Video Capture capture custom regions, a window or the full screen. Webcam Video Capture also allows you to capture video from webcams and other video input devices. PCMedik ::: a maintenance program that enables users to improve the performance of the computer. PCMedik is used to repair the main problems that cause a slow computer. PCMedik scans, detects and fixes problems with various software and hardware incompatibilities. »» Free download VSDC Free Audio Converter! VSDC Free Audio Converter ::: a computer program that allows users to work with audio files. VSDC Free Audio Converter is used to convert between different audio file formats, the program supports the most popular formats. Using VSDC Free Audio Converter, you can also remove parts from audio files. »» Free download Adobe Flash Builder! Adobe Flash Builder ::: a computer program that allows users to create Flash and Air applications. Adobe Flash Builder is designed specifically for Web developers to create flash animation applications. Using Adobe Flash Builder a web developer can create faster and better quality flash applications. »» Free download AVS Document Converter! AVS Document Converter ::: a computer program that allows users to convert between different document formats. The program AVS Document Converter supports the most document formats. Using AVS Document Converter can also create e-books.